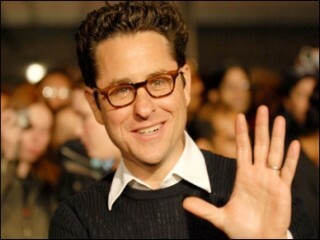 Jeffrey Jacob "J.J." Abrams is an American film and television producer, screenwriter, director, actor, and composer. He wrote and produced feature films before co-creating the television series Felicity (1998-2002). He also created Alias (2001-2006) and co-created Lost (2004-2010), Fringe (2008-present), and Undercovers (2010). Abrams directed the films Mission: Impossible III (2006), Star Trek (2009), and Super 8 (2011) and produced the films Cloverfield (2008) and Morning Glory (2010). J. J. Abrams, the mastermind behind the television hits Lost and Felicity, is a rare Hollywood talent able to juggle multiple tasks and plotlines simultaneously. In 2006, he served as executive producer for three ABC shows Lost , shot in Hawaii, Six Degrees , shot in New York City, and What About Brian , shot in Los Angeles. The indefatigable TV guy also managed to squeeze in his feature-film directorial debut with the Tom Cruise vehicle Mission: Impossible III , which also hit theaters in 2006. In addition to writing scripts and directing, Abrams composed and recorded the theme songs for Lost and Alias. Hollywood insiders see no end to his talents. In 2006, with several studios clamoring for his work, Abrams struck simultaneous multiyear deals with Paramount Pictures and Warner Bros. Television worth $55 million. The deal gives Paramount first choice on any of his movie projects. "We think J. J. is the next Steven Spielberg," Paramount chairman Brad Grey told the Los Angeles Times . "He's a triple threat: a great writer, producer and now, a first-class movie director." J. J. Abrams the J. J. stands for Jeffrey Jacob was born on June 27, 1966, in New York City to Gerald and Carol Abrams, who were both television producers. The family relocated to Los Angeles when Abrams was five. As a child, Abrams developed an interest in magic, an early springboard to his later fascination with special effects. A favorite outing was accompanying his grandfather to magic stores to buy tricks. Early on, Abrams was also curious about movies and was intrigued that directors, like magicians, could make things and people disappear. A visit to Universal Studios at the age of eight solidified Abrams' desire to work in film. His tour of the studio included a visit to Lucille Ball's dressing room and viewing some of the leftover special effects from Airport . From that moment on, Abrams knew he wanted to work in Hollywood. Lucky for Abrams, his father had an office at the Paramount lot. Many days after school, Abrams trekked to Paramount and watched various television shows in production, including Mork & Mindy and Laverne & Shirley. By nine, Abrams was writing his own scripts and using the family's Super-8 camera to bring them to life. Intrigued with the use of special effects, Abrams wrote special-effects experts to inquire about the craft. He even wrote the man who created the exceptionally graphic tongue for the 1973 thriller The Exorcist and the man sent Abrams one of the tongue extensions. Abrams tapped grade school buddy Greg Grunberg to star in his early productions and continues to cast him today. They made a horror film called The Attic , which depicted Grunberg waking up, walking to a sink and getting stabbed in the back by Abrams, who was able to stab and film at the same time. What surprised Grunberg most was the young Abrams' flair for understanding special effects. "He shot it, then scratched in the monster, frame by frame," Grunberg told USA Today 's Bill Keveney. "It was a bolt-of-lightning creature. He compensated ahead of time for where the monster would be. We were, like, eleven." In another preadolescent film, Abrams made a doll levitate, then float across the room to bite Grunberg in the neck. By 13, Abrams was entering his movies in kids' film festivals and even shared a top prize for one of his films. After high school, Abrams attended Sarah Lawrence College in Bronxville, New York, and spent his free time writing screenplays. In his early twenties, he teamed with Jill Mazursky to pen the script for 1990's Taking Care of Business , which starred James Belushi as a convict who finds an executive's Filofax organizer complete with cash, credit cards, and the keys to a mansion. Abrams followed with 1991's Regarding Henry , a romantic drama that starred Harrison Ford and Annette Bening. Over the next few years, Abrams continued writing, but also tried his hand at producing films he had no hand in writing, such as 1996's The Pallbearer , which featured Gwyneth Paltrow and David Schwimmer. He also penned the screenplay for 1998's sci-fi thriller Armageddon. Abrams soon turned to the small screen and teamed with Matt Reeves to create the critically acclaimed coming-of-age drama Felicity for The WB, which debuted in 1998. The show revolved around the college experiences of the title character, Felicity Porter, played by Keri Russell. Felicity gained a faithful audience during its four seasons on the air, with Abrams earning credits as an executive producer, director, and writer for the show. In 2001, Abrams' action/spy/drama series Alias hit the airwaves on ABC, representing his first solo series creation. The show followed the exploits of an international spy, played by Jennifer Garner. While Alias was never considered a true hit as far as the number of viewers tuning in, it attracted a cult following and helped shore up ABC's lackluster lineup. Alias ran through 2006 and showcased more than Abrams' directing and writing talents he also composed music for the show. During the show's run, Abrams also proved to be a sympathetic producer. When Alias star Garner told Abrams she could no longer handle the 14-hour days the show required, he trimmed 10 hours off her workweek. While in the midst of producing Alias , ABC executives came to Abrams with an idea for another series what would happen if a plane crashed on a remote island? They envisioned the show being Cast Away meets Survivor . Abrams took the idea, teamed with Damon Lindelof, and Lost was born. To draw viewers into the story, Abrams and Lindelof, the co-creators, focus quite a bit on the characters. The show includes flashbacks that give the audience background information about each character, encouraging the audience to bond with them. Lost opens with ominous-sounding music and an out-of-focus title card, a tribute to The Twilight Zone , a favorite show of Abrams. The pilot aired in 2004 and was met with immediate success. The action-packed, mystery-adventure quickly became one of ABC's top-rated programs and won several awards, including a 2005 Emmy for Outstanding Drama Series. Abrams, himself, earned an Outstanding Directing for a Drama Series Emmy for his work on the pilot. In 2006, Lost won a Golden Globe for best television series drama. It has been a smash hit, drawing about 15 million viewers a week. Though busy with Lost , Abrams helped launch two more series on ABC in 2006. They included What About Brian , which revolves around a group of Los Angeles friends, and Six Degrees , a show about six New Yorkers who lives are inexplicably entwined unbeknownst to them. Abrams serves as an executive producer for both shows, which means he is involved, but does not write or direct or dwell over details for the shows like he does for Lost. Along the way, Abrams attracted the attention of Hollywood's elite. In January of 2004, actor Tom Cruise and director Steven Spielberg stopped by Abrams' office and asked him to write the screenplay for War of the Worlds . "It was freaking me out," Abrams told the Washington Post 's David Segal. "I'd look at Spielberg, who is my idol, and think, 'I can't look at him anymore.' Then I'd look at Tom Cruise and think, 'I can't look at him at all.' It was a disaster." Though Abrams was enamored by the offer, he turned it down because he was busy shooting the first season of Lost . As Cruise was leaving, Abrams' assistant handed him a set of DVDs containing the first two seasons of Alias . Cruise watched the DVDs, loved what he saw and went back to Abrams with another offer Mission Impossible: III . Cruise was slated to be the producer and star, but he felt so confident in Abrams' work that he offered Abrams the job of directing, casting, co-writing, and editing the film. At this time, Abrams had yet to direct a feature film. After reading Cruise's script, Abrams was inclined to say no because he felt the plot needed changes and figured Cruise would not listen to him. Abrams envisioned the film to be more than just a series of action sequences strung together; he saw it as a movie about a man trying to reconcile the pieces of his life. "I just felt that we had already seen lots of intrigue, lots of action with the first two movies," Abrams told USA Today 's Scott Bowles. "What we hadn't seen was [Cruise's character] Ethan Hunt as a regular guy, someone who is trying to deal with his love life. I wanted to show a side to him we weren't used to." Cruise thought that was a fine idea and gave Abrams the go-ahead to rewrite the script. "My focus was on the characters as people before they were spies," Abrams told the Globe and Mail 's Gayle MacDonald. "All my favorite movies have done that. In Jaws , Roy Scheider's character was a husband and a father before he was a sheriff. In Aliens , Ripley Sigourney Weaver's character was a woman and a mother before she was an alien slayer. So that was my goal, to show these characters as people, not just super spies." Shot in 98 days, Mission: Impossible III hit theaters in May of 2006. Around that same time, Paramount Pictures tapped Abrams to co-write, produce, and direct the next installment of the Star Trek series, which is slated to be a prequel to the original Star Trek series. Untitled, the movie was tentatively scheduled for release in 2008. The jump from television to the big screen came easily for Abrams. "TV is harder than a movie: At any given time, you're dealing with somewhere between eight and a dozen episodes it's painfully endless," Abrams told Wired 's Jennifer Hillner. "It was a relief to work on a story with a beginning, middle, and end, and not have to juggle 12 hours in your head." Though Abrams has a lot of work obligations, he tries not to let it overtake his family life. Abrams met his wife, Katie McGrath, at a dinner party in 1994. They have three children. Abrams drops them off at school in the morning and comes home at a decent hour to see them. Later in the evening, he resumes work at home. Abrams put in an editing bay at the house so he could work from home. He also added a studio, complete with guitars and synthesizers, so he can write music for shows. Speaking to the Washington Post 's Segal, McGrath recounted a story about finding Abrams in the editing room working with the baby held in one arm and the phone tucked under his ear. "He sort of thrives on that level of I don't want to say chaos, but that level of intensity. I'm sure there's some deep, dark psychological root, but all that craziness, all the compulsion is somehow manifested in a healthy way." A public-relations executive, McGrath also became an early script editor for Abrams and helped him polish the relationships between his female characters. Though Abrams has brought many of his ideas to fruition, he has yet to lose the thrill of seeing his creations come to life. Speaking to Wired 's Hillner, Abrams said the most fantastic part of being a Hollywood director is "being able to take the ideas that occur to me and not let them vanish. To go to the set of something that was in my head. It's a total narcissistic joy to have some private little pleasure, through a lucky stream of events, become tangible, so that you can actually walk on it and touch it. It's cool to bring something to life, whether it's a song or a video. But to do it and have it embraced by millions of people all over the world, like Lost that's insane." Golden Globe for best dramatic TV series, Hollywood Foreign Press Association, for Lost, 2006.